If you have a legal issue in the states of CA, WA, OR or NY, and would like to schedule a 30-minute $175.00 telephone consultation, please Contact Us. Consultations are available at 1:00pm or 1:30pm Pacific Time, Monday through Friday. We charge an hourly rate of $450, and for most matters, we require a retainer. All retainers are deposited into ELS’ attorney-client trust account; clients are invoiced for all work performed and invoice amounts are deducted from the retainer. This service is available only to customers in Washington, Oregon, California and New York. ELS advises its clients to incorporate or form a limited liability company for their businesses. Among other benefits, operating an equine business as a corporation or limited liability company can help protect the business owners’ personal assets from liability. To make the process affordable for its clients in Washington, Oregon, California and New York, ELS offers incorporation or LLC formation to clients in these states for a fixed price of $1,500, plus expenses. 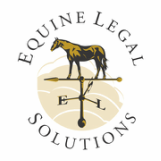 Equine Legal Solutions has ready-to-use legal contracts. Browse our Forms Store to purchase our forms online with instant PDF download. Prices range from $9.99 to $149.99. This service is available only to customers in Washington, Oregon, California and New York. We create custom contracts for a flat fee of $750. Contact us for a 30-minute telephone consultation to discuss your customized contract. The cost of the consultation is $175 and that will be credited toward the purchase of your custom contract.